NSFW Warning: The following article contains links to several titles that contain adult situations. Reader Discretion is advised. Last week was AnimeNYC and MangaGamer was there to show the love to eroge and visual novel fans. In fact, the publisher had quite a few announcements and release dates to talk about and I’ve been giving my thoughts on them through the week. Be sure to check the articles below for more details. Of these titles, the only two listed as releasing this year are Imouto Paradise 2 and Umineko: Golden Fantasia. That leaves us with a sneak peek at what 2018 is looking like and it looks good. There are several titles in this list I’m looking forward to myself. Particularly A Kiss for the Petals – Maidens of Michael, If You Love Me, Then Say So!, Magical Marriage Lunatics, Evenicle, and The Most Forbbiden Love in the World. While that does handle all the AnimeNYC announcements, there’s one more thing I should mention here and that’s MangaGamer’s current sales. That’s everything! Be sure to take a look at the Press Release below for trailers and more info directly from MangaGamer themselves. 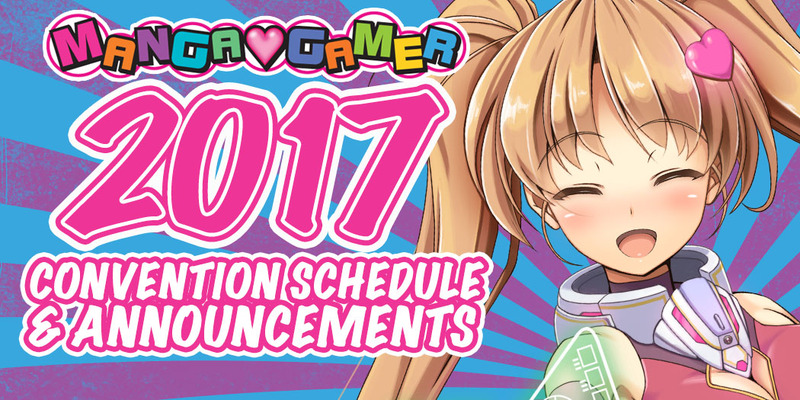 November 20th, 2017–MangaGamer Announces Two New Titles at AnimeNYC! There’s a lot of new titles coming out in time for the holidays, and MangaGamer’s here to provide on the Visual Novel front, announcing two new titles as well as multiple upcoming releases this weekend at Anime NYC! With Kuroinu chapter 2 and the Answer Arcs of Umineko released just last night, it’s a huge surprise that MangaGamer followed up with announcements for a release date on Umineko: Golden Fantasia, the fan-favorite fighting game based on the original series! Featuring both story mode and multiplayer, competitive play, Golden Fantasia CROSS will be coming to both MangaGamer and Steam this December 8th! Speaking of fan-favorites, fans of Princess Evangile won’t be let down this holiday season with a brand new hardcopy of Princess Evangile W Happiness shipping on December 15th with a limited edition Rise wallscroll available to grab as well! Pre-order now before supplies run out! But that’s not all! Newly announced from MangaGamer comes Sweet Switch and Bitter Exclusion, developed by Ammolite. Previous Post:(18+) Can You Survive Being Sexily Shunned in Bitter Exclusion?